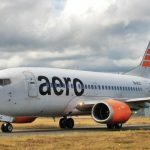 LAGOS, NIGERIA (AFRICAN EXAMINER) – Owing to the lingering lull in the country’s economy, the management of Aero Contractors Airline has announced its plan to suspend scheduled services from Thursday, September 1, 2016. The airline Wednesday explained that the move was part of the strategic business realignment to reposition the organization and return it to profitability. 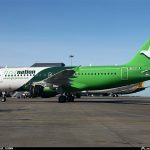 It noted that the prevailing economic recession in the country which necessitated its business decision has forced some other airlines either to suspend operations or pull out of Nigeria. 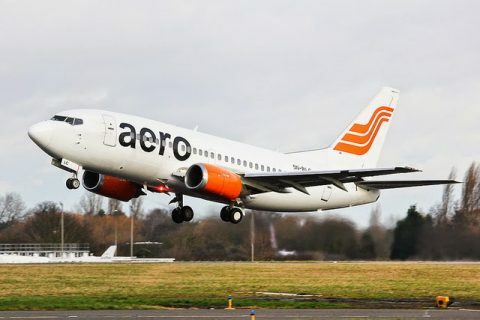 Aero which is the second largest carrier in Nigeria, explained that the airline had been buckled down with many challenges in the past six months that have impacted on its business as well as scheduled services operations. These factors, according to Aero, are both internal and external environmental factors that have made it difficult for it to continue its scheduled services. While describing the challenge factors as internal; external and environmental, the airline restated that it has witnessed epileptic operations and services to the external public that were caused by non-alignment of fundamental issue of the business, which in some cases, had been frustrating and embarrassing to all parties including staff, customers and all stakeholders. The airline management also informed in order to ensure company did not suffer from challenge of short life span and to it around, the Asset Management Corporation of Nigeria (AMCON) on February 6, 2016 appointed Mr. Adeniyi Adegbomire SAN as its Receiver Manager. 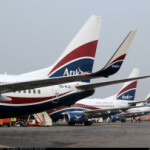 However, it indicated that despite the move, the operating environment unfortunately within and outside, had hindered any possible progress, especially in the last six months when the naira depreciated against the dollar thereby making it impossible for the airline to achieve its operational targets. Aero added that with the prevailing realities and protracted engagements with all relevant stakeholders, its management strenuously reviewed and assessed options and opportunities on ensuring viability, safety and sustainability of operations during the period with a lot of sacrifices. “The implication of the suspension of scheduled services operations extends to all staffs directly and indirectly involved in providing services as they are effectively to proceed on indefinite leave of absence during the period of non-services” said the airline. The management however affirmed that it was aware of the impacts of its action on the staff and customers, adding that its moves were to ensure the organization “return back to operations within the shortest possible time” with reliable, safe and secure operations, which it said were the hallmark of the beleaguered airline.